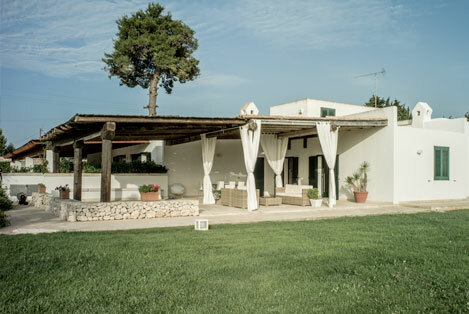 Just 500 meters from the beach, Masseria San Rocco is the ideal starting point to visit the beautiful beaches of Salento. Walking on the white beaches, dive into the crystal clear and unpolluted sea, discover the Nature corners that only Salento can offer. Or still, walking along the coast waiting for the sunset, rent a kayak to explore the many and beautiful natural little bays, where the crystalline water shows treasures of shells. 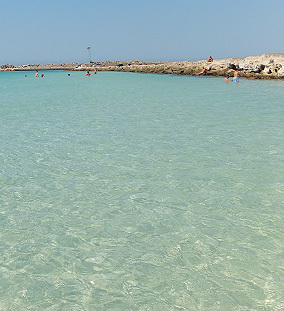 The beaches of Salento, for their natural features, are one of the favorite destinations for Italian and foreign tourists, offering gorgeous views, where the unpolluted sea seems to meet with the clear blue sky. The firs part of Lido Conchiglie is a low rocky beach; you can easily access to the sea, where there are some sources of fresh water, with beneficial properties. Walking along the shore, you will reach the beautiful sandy beach; here there are a lot of different shells, that give the name to the beach itself. 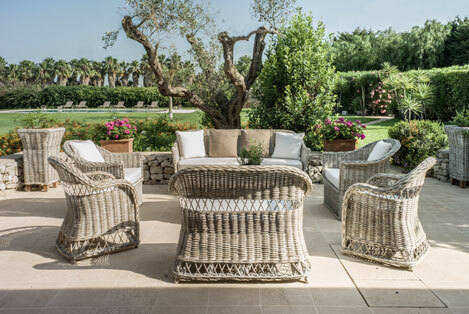 Once upon a time, the beach was called “Cannole” because of the expanses of the reeds that characterized it; nowadays it can be considered the starting point for long walks in the Apulian countryside, surrounded by vineyards and olive trees. 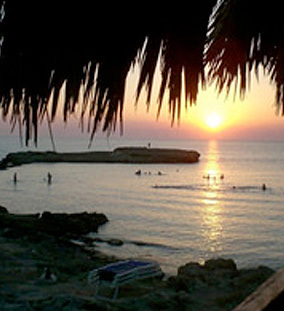 This beach is part of the Natural Park of the Saint Andrew’s Island, at the southern part of the Gulf of Gallipoli. It is considered one of the most charming beaches in Salento; here there are both rocky and sandy beaches, surrounded by the perfumes of juniper and thyme, typical plants of the Maquis. The seabed rich of sea fauna and flora, the white sand and the crystal clear sea, will make you fall in love with this beach. This beach is located inside the Natural Park of the Saint Andrew’s Island and it is increasingly visited and demanded by young people. 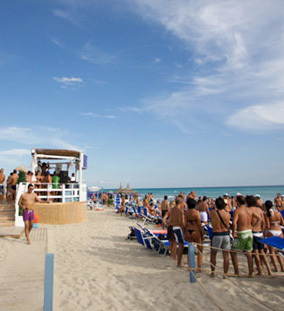 It offers a lot of bars and bathing establishments and, during the night, it becomes an open-air discotheque. The beache extends for 2 kilometres and offers an unforgettable sight on the coast of Gallipoli and on Saint Andrew’s Island. A paradisian beach a short way away Gallipoli, where the sea is crystal clear, with shades of emerald green and turquoise. It is formed by two beaches and, even if it is surrounded by nature, at the same time it has some bars and bath establishments, furnished of beach umbrellas, beach beds and deckchairs. This beach is very popular and fashionable; during the high season, you can continue your day at the beach by having a cocktail on the beach, looking at the sunset. 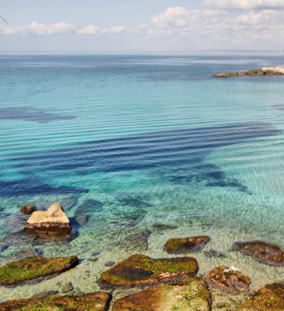 This is one of the shores of Ugento, located halfway between Gallipoli and Santa Maria di Leuca. The beach of Torre San Giovanni is so called because of the ancient wach-tower built in the sixteenth century, following an order of Charles V.
It is very appreciated for its great expanse of sand, its crystal clear sea, and its seabed that stays low for several metres from the shore; it is characterized by a lot of small islands a short way away the shore, reachable by swimming. 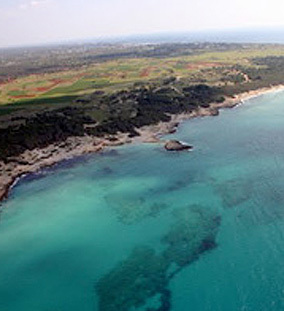 Torre San Giovanni is surrounded by typical plantations of the Maquis and sand dunes; it is an healthy beach, renowned in the whole Salento. This beach is also known as the Maldives of Salento, because of its crystal clear sea and its fine white sand; it is one of the beaches nearby Gallipoli that you should definitely go to. 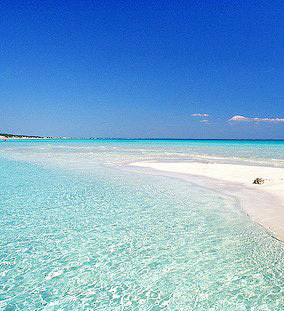 It is one of the most popular and fashionable beaches in the province of Lecce, just because it seems to be in the Earthly Paradise. 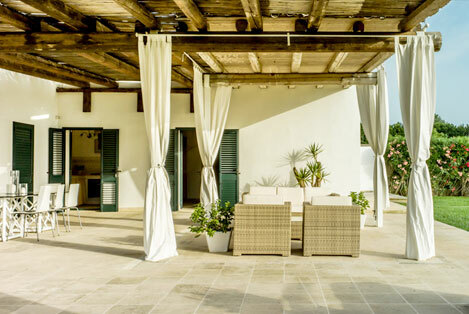 It is one of the most popular bath establishment in Salento. Coco Loco Shore offers all the amenities of the beach facilities and, at the same time, it guarantees the greatest respect and protection of Nature. 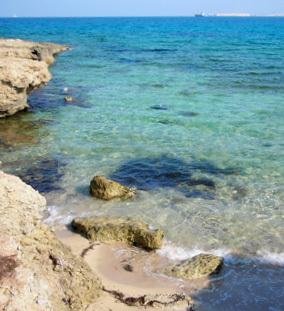 This beach is characterized by crystal clear sea and fine white sand. 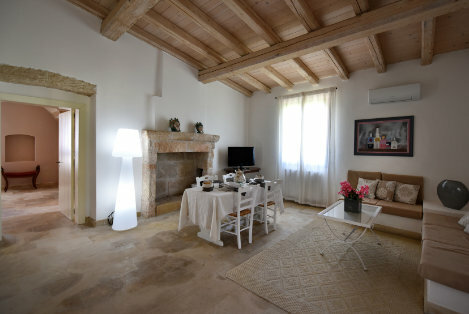 Choose the villas that you like and request availability! 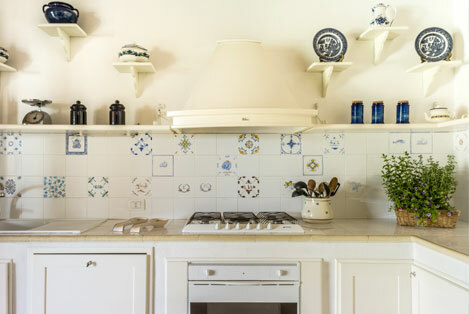 Spacious, comfortable, bright villa , with a porch and a terrace - all the windows of the different rooms opens onto it, with sight and access to the garden.